From the Batman Pop! Vinyl collection by Funko. 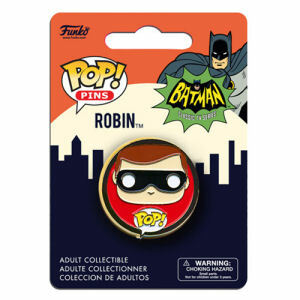 Batman Classic 1966 TV Series Robin Pop! Pin. From the Batman Pop! Vinyl collection by Funko. Batman Classic 1966 TV Series Robin Pop! Pin. Metal pin measures about 1.5 inches in diameter.